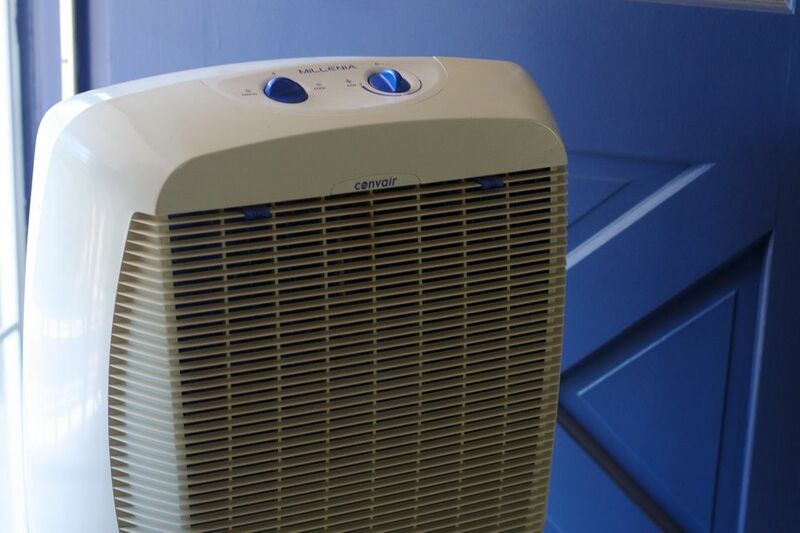 Regular maintenance is critical to keeping your evaporative cooler working efficiently, with fewer repairs. The primary issue for most systems is mineral or scale buildup, and if you have hard water, this can be extreme. The more scale buildup on your cooler pads, the worse your evaporative cooler performance. Another concern is keeping the water in your cooler fresh to avoid that "muggy" smell. There are several products that can help with both issues. When an evaporative cooler develops mineral or scale buildup, it might be time to use a cleaner or some form of de-scaler. This will help the cooler pads last longer. Also, clean pads can help keep the air temperature cooler because more water can be absorbed into the pads and subsequently evaporated (it is the evaporation of water that gives the appliance the ability to cool air). D-scale is one brand of cleaner, and there are many others. To use most cleaner products, you pour a measured amount of cleaner directly into the water in the evaporative cooler pan, then you run the cooler on pump mode for about 20 minutes. The scale and minerals will get washed out into the pan. Finally, you drain the water, flush out the pan, and refill it with clean water. A purge pump helps to keep the water in your evaporative cooler clean all summer long. It cleans the water in the cooler automatically every 6 to 8 hours of use by pumping a percentage of the water out of the pan so it can be replaced with fresh water. Purge pumps are easy to hook up; they have a special two-sided plug that plugs into the existing pump electrical outlet, then the cooler pump plugs into the back of the purge pump plug. The water that's discarded by the purge pump can be used to irrigate a nearby garden, plants, or trees so it isn't wasted. In-line water filters remove minerals from hard water before they get to your cooler's pan. This prevents scale buildup at the source, which is much easier than removing hard water deposits on the pads or pan. Inline filters can be installed anywhere on a water line before the evaporative cooler. For installation, you simply cut out a section of your 1/4-inch copper or poly water line, then splice in the filter using the compression fitting on each end of the filter. Water filters must be replaced every few months during the cooling season. Prevent corrosion and help keep the musty smell in your cooler from building up with a zinc anode rod. A swamp cooler anode rod works just like an anode rod in a hot water heater tank; by attracting corrosive minerals in the water, the "sacrificial" rod corrodes instead of the metal cooler pan. Anode rods also help inhibit the growth of bacteria, algae, and mold, which cause a musty or fishy smell in coolers. Drop-in tablets are another option to help prevent mineral and scale buildup. These are time-release tablets that you simply drop into the cooler pan. Tablets serve the same purpose as a liquid cooler cleaner or de-scaler, but with tablets, you simply leave them in the cooler. They contain pre-measured amounts of chemical and require no measuring. If your evaporative cooler pads are already clean (and don't need a de-scaling flush with a liquid cleaner), you might combine tablets with a purge pump to maintain better water quality with little or no buildup.